School Safety Patrol membership is a position of honor that has continued since 1920. 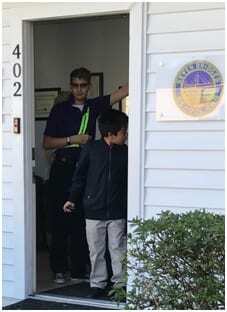 Seven Bridges School AAA School Safety Patrol members are school-sponsored teacher recommended student volunteers from upper division classes. The Safety Patrollers direct children, not traffic. 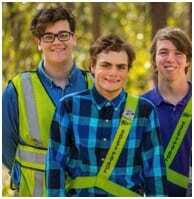 As school-age leaders in traffic safety, patrol members teach other students about traffic safety on a peer-to-peer basis. They also serve as models for upper and lower school students. A constructive outlet for student energy. A positive relationship with parents, law enforcement and the overall community. Safer environments for pedestrians and motorists. A spirit of volunteerism and civic-mindedness. A positive collaboration between students, parents, schools and law enforcement.